Market participants have anticipated rising mortgage rates for a while. Some have anticipated for years. If the recent trajectory of mortgage rates sets the tone for 2018, no one needs to anticipate anymore. To belabor the obvious, mortgages are on a rising trajectory. Mortgage News Daily’s latest survey shows the range of quotes on a prime 30-year fixed rate loan at 4.375%-to-4.5%. The range was last this high in March 2017, which was a brief outlier. Before that, we have to go back to 2014. A respite in the near future appears unlikely. The Federal Reserve is expected to raise the federal funds rate when Fed officials meet in March. Futures traders are betting a 77.5% chance the Fed will raise the range 25 basis points to 1.5%-to-1.75%. If we look further afield, the same traders offer the best odds on the fed funds rate being raised two more times — in 25-basis-point increments — past the March increase. The best odds are given on the fed funds rate ending the year in the 2%-to-2.25% range. The fed funds rate is an overnight lending rate among commercial banks. It’s a short-term interest rate, which has had a marginal and fleeting impact on long-term interest rates in the past. This go-around we have a few new variables in play: Major tax reform, higher GDP growth expectations, and a shrinking Fed balance sheet (tentative) favor higher interest rates over lower interest rates. Inflation, though, could be the most influencing variable. Consumer-price inflation has been dormant (by official Fed measures) since the 2008-2009 recession. Fed officials are bullish on inflation: They see it rising more this year than in past years. (Fed officials are singularly attracted to inflation because of a singular phobic fear of deflation.) If the Fed is right in its forecast, mortgage rates are more likely to maintain the current trajectory. With the important variables aligned on the same side of the fence, the broad trend for mortgage rates is negative. A major shock — a stock-market correction, a geopolitical conflagration, an encompassing political scandal, or some such outlier — would be needed to get rates trending lower. This isn’t to say minor pullbacks can’t occur. If they do, they surely offer an opportunity to lock. That said, floating and hoping is risky business. Yes, you can look like a genius if you time it right. But you can never know if it was timed right because of genius or chance. All good things must end — a party, a vacation, life, the sun. We can add low interest rates to the list. Though the end is eventual, it doesn’t mean its imminent, but recent market trends point to the end being more imminent than not. Moderately Important. Rising mortgage rates have reversed the recent rising trend in purchase applications. Nevertheless, the long-term trend still favors increased housing activity. Moderately Important. Rising credit use — revolving and non-revolving — points to rising consumer confidence and sustained economic growth. Let’s wander off course with an observation and a thought experiment. The observation: Home prices have risen relentlessly at the national level since the start of the decade. They continue to rise to this day. Rising input costs are key contributors. No cost has risen more than lumber. 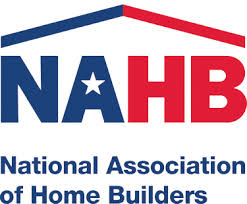 The NAHB tells us lumber prices have risen 30% since summer. For this, we can thank the 20.8% tariff the U.S. Commerce Department slapped on imported Canadian lumber. The Commerce Department slapped Canadian lumber with the tariff because it claims the Canadian government is subsidizing Canadian lumber. This allows Canadian lumber providers to sell at a lower price — a price that hinders U.S. competitors. Now for the thought experiment: Let’s take it to the extreme. Let’s say the Canadian government is willing to subsidize its lumber industry to the point that the providers can give lumber to the United States. U.S. lumber providers would go bankrupt, no doubt. But what about U.S. lumber consumers? Home prices would be significantly cheaper. Demand for homes would rocket. More homes would be built and sold. People who bought products made with lumber would have more money. Taken in total, we would have more money that could be spent on many other goods and services. We’d also have more money to invest. U.S. lumber providers would suffer an obvious immediate loss from free Canadian lumber. But lumber consumers suffer a far greater loss with a tariff applied to Canadian lumber. Lumber providers are a tiny, concentrated constituency. The rest of us are a large, disbursed constituency. The former has much more political influence than the latter. So we ask, do the benefits of the U.S. tariff on Canadian lumber outweigh the costs?